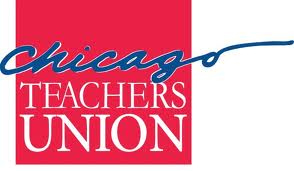 According to a school-by-school poll of members of the Chicago Teachers Union (CTU), over 90 percent of teachers, paraprofessionals, instructional coaches and school clinicians say they believe the Board of Education’s current contract proposals will harm students and lower the education quality of their schools. The Board’s current five-year contract proposals include a one-time two percent raise; dramatic increases in the costs for family health care; and, slashing the collective bargaining agreement to the bone by removing dozens of provisions that protect students such as class size limits. CTU proposes smaller class sizes, increased instruction in art, music, world languages, and other areas, as well as fair compensation and protections against school closings. Public school educators across the nation face a coordinated attack on their profession and the students and families they serve. In cities such as Boston, Philadelphia, Washington, D.C., and Detroit, school districts are imposing longer school days, shifts to merit pay, teacher evaluations based on standardized test scores and an aggressive push for charter schools. While Chicago is not alone in the attack on public education, many people believe the local fight has been one of the most malicious. Thousands of CTU members are expected to present a unified front on May 23rd when they rally at the historic Auditorium Theater, 50 E. Congress Parkway. In addition to hearing speeches from Union leaders, people will listen to testimonies from parents, community leaders, students and other labor leaders. The 4:30 p.m. event will be followed by a march to the Board of Education headquarters. The Chicago Teachers Union is the collective bargaining agent for more than 30,000 Chicago Public School employees. For more information, please visit the Union’s website at www.ctunet.com.